The Lebanese Environment Forum held a national workshop last Saturday, under the patronage of HE M. Mohammad El Machnuk, Minister of Environment to discuss a project aiming to regulate and promote responsible hunting practices in Lebanon, at the Holiday Inn Hotel in Beirut. This project is being implemented in Lebanon with a grant received from the Critical Ecosystem Partnership Fund (CEPF) and with technical support from the Society for the Protection of Nature in Lebanon (SPNL). The objective of this national workshop was to build the capacity of conservation NGO members of the LEF on the importance of IBAs/KBAs, birds and biodiversity; discuss the status of hunting, and concept of responsible hunting; introduce the concept of Responsible Hunting Areas to the LEF conservation NGOs and agree on the criteria for RHAs identification and selection. Further, the workshop aimed to develop materials and an action plan for an awareness campaign, which will be implemented locally by the member NGOs. The establishment of Responsible Hunting Areas in Lebanon is an attempt to balance the needs of wildlife with the needs of people using the best available science to ensure safe and responsible hunting. 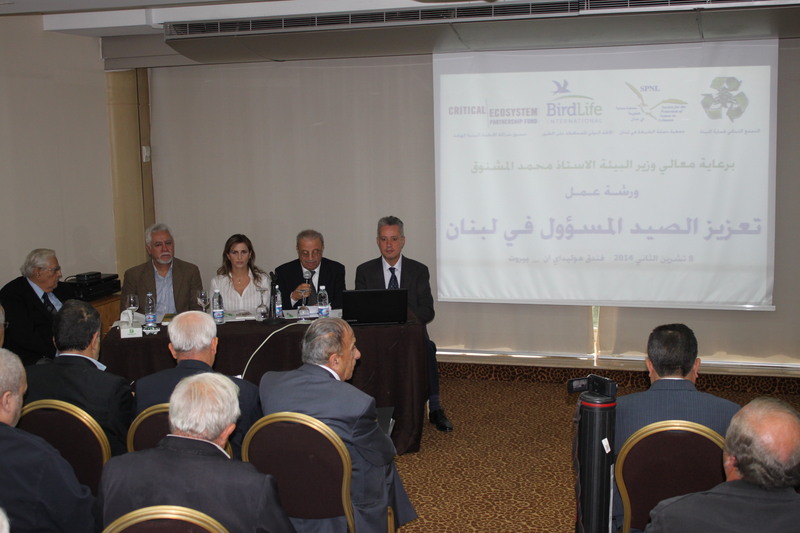 More than 100 representatives from environmental associations in Lebanon and municipalities, in addition to representatives of the Hunting Higher Council, Birdlife International, United Nations Development Program, and the representative of the CEPF in the Mediterranean area, were present at this event. 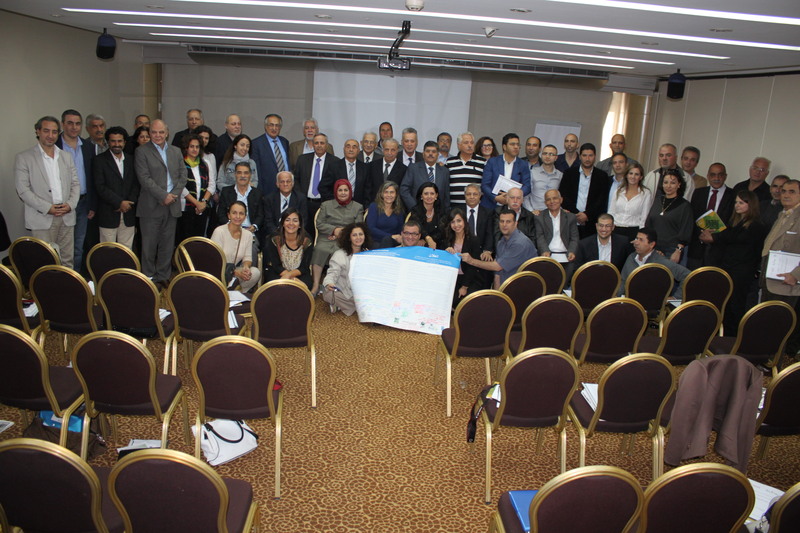 The participants signed a declaration aiming to achieve responsible hunting in Lebanon,. After the welcome speech given by the secretary of the LEF Malek Ghandour, Mrs. Lara Samaha representative of HE M. Mohammed El Machnuk, Minister of Environment and Head of ecosystems and biodiversity department at the ministry, reviewed the scope of the obligations stipulated in the hunting law and announced that the Ministry of Environment completed regulatory decrees and decisions of the law but will not open the hunting season officially this year, hoping to complete the logistics procedures that will enable the Hunting Higher Council to approve the recommendation on opening the hunting season in 2015. Samaha confirmed that the Council is studying the criteria for selecting the RHA dedicated for responsible hunting raised by the Society for the Protection of Nature in Lebanon-SPNL, through studies carried out in the context of the Migratory soaring birds project. The President of the LEF Rifaat Saba highlighted the importance of the workshop in raising awareness about the modalities of application of the hunting law in Lebanon No. 580, issued in 2004 and confirmed the readiness of the members of the LEF to raise awareness about RHA which will be launched in coordination with municipalities interested in organizing hunting. He announced that a pilot area will be initiated through the CEPF funded project which would constitutes a breakthrough for the organization of this sector currently uncontrolled. Mr. Ramzi Saidi representative of the Society for the Protection of Nature in Lebanon highlighted that the low level of public awareness in Lebanon, led to random hunting on public and private lands, and even on the borders of reserves resulting in the death of many birds species, even those globally threatened. In turn, the Director General of the Society for the Protection of Nature in Lebanon, Assad Serhal said that the experience of the Society in organizing wild hunting over thirty years led it to believe that the solution lies in the creation of RHA dedicated for responsible hunting managed and monitored by the concerned municipalities and within its lands. Without the implementation of this type of control, it is impossible to enforce the hunting law in Lebanon. He revealed that the Society in collaboration with the University of Balamand have studied 10 potential RHA dedicated for responsible hunting and identified them on maps along with the game species allowable to hunt in these areas hoping that the Hunting Higher Council will approve these maps in its next meeting, and that municipalities will adhere to this option to regulate the hunting within their municipal lands, pointing out that the CEPF funded project implemented by the LEF will push also towards the adoption of this option and the start of its application through a pilot area. The expert in ornithology and member of the Hunting Higher Council Dr. Ghassan Ramadan-Jaradi, made a detailed presentation on the scientific criteria for the identification of RHAs. He added, ” for 19 years during the hunting ban, it was not enforced on the ground. Therefore we were obliged to suggest proactive ideas, such as limiting hunting activities in RHA which are managed and controlled by municipalities. Due to the lack of standards in the world for RHA, we have created relevant criteria and standards which draw the attention of the world. He pointed out that the CEPF funded project will mark the beginning of launching RHA dedicated for responsible hunting in Lebanon and will be the beginning of a solution to stop uncontrolled and irresponsible hunting in Lebanon. Nour Zouhairy form UNDP office in Lebanon highlighted the Migratory Soaring Birds Project (MSB) position and aspiration regarding the hunting issue. Mainstreaming Conservation of Migratory Soaring Birds into Key Productive Sectors along the Rift Valley/Red Sea Flyway” project aims to the threats on populations of migratory soaring birds from productive sectors along the flyway, including hunting. For that purpose, strategic alliances with major actors of the hunting sector have been established with the aim of successfully integrating conservation objectives, such as achieving responsible hunting, within the sector’s regulations and activities. 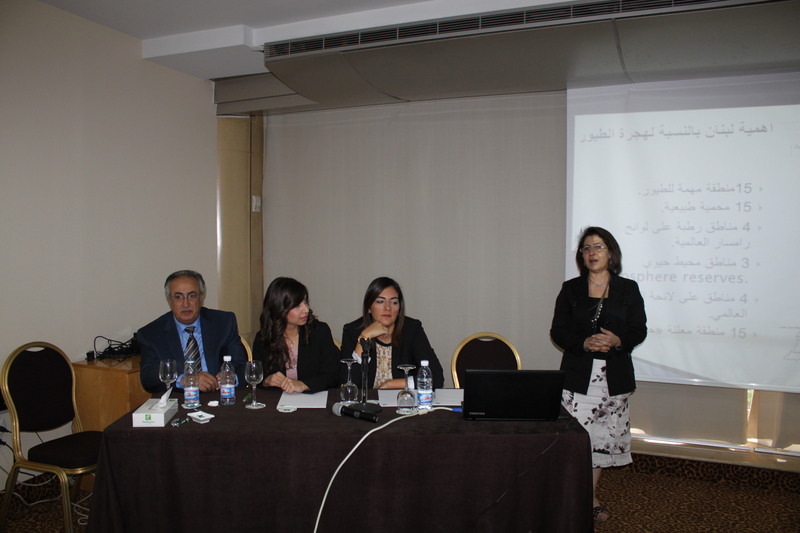 Bassima Khatib, Assistant Director General in the Society for the Protection of Nature in Lebanon, explained the importance of IBAs/KBAs, birds and biodiversity in Lebanon, exposed the current situation of wild hunting in Lebanon, and the concept of responsible hunting. Rebecca Baissari from the LEF featured the goals of the project and a calendar of action adopted by LEF in involving NGOs in raising the awareness of hunters in Lebanon to responsible hunting practices. 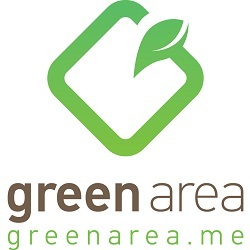 The “Lebanese Environment Forum” is a democratic umbrella organization that brings together environmental NGOs. It comprises more than 45 organizations and it is managed to coordinate and inter-cooperate among its members, to ensure the spread of information and coordination in order to boost action. The Lebanese Environment Forum was established in 1992 and it got official licensing from the Ministry of the Interior No. 415. The Critical Ecosystem Partnership Fund is a global leader in enabling civil society to participate in and benefit from conserving some of the world’s most critical ecosystems. CEPF provides grants for nongovernmental and private sector organizations to help protect biodiversity. hotspots. Earth’s most biologically rich yet threatened areas.